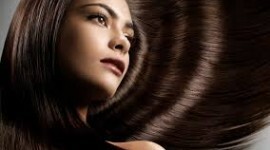 An oil massage can do wonders if you have dry and rough hair. Take some virgin olive oil and apply it on your hair and scalp with the help of cotton. Give yourself a massage and wrap your head with a damp and warm towel. This will ensure that the oil penetrates the hair roots. Try doing it at least two hours before you shampoo your hair.